(Nanowerk News) For the first time, a piezoelectric harvesting device fabricated by MEMS technology generates a record of 85µW electrical power from vibrations. A wafer level packaging method was developed for robustness. The packaged MEMS-based harvester is used to power a wireless sensor node. Within the Holst Centre program on Micropower Generation and Storage, imec researchers developed a temperature sensor that can wirelessly transmit data in a fully autonomous way. 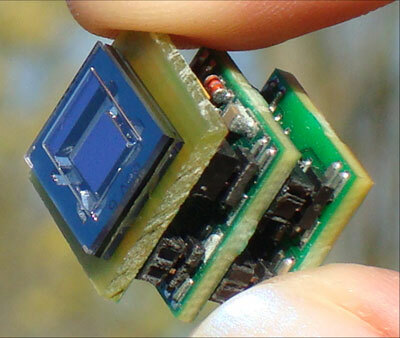 Fully autonomous wireless temperature sensor powered by a vibrational energy harvester. Imec is headquartered in Leuven, Belgium, and has offices in Belgium, the Netherlands, Taiwan, US, China and Japan. Its staff of more than 1,650 people includes over 550 industrial residents and guest researchers. In 2008, imec's revenue was 270 million euro. Further information on imec can be found at www.imec.be.